What is a vine dresser? At first I thought of the vine dresser as a bit of a farmer, but in driving past a field of corn this weekend, now dry and yellow for harvest, I realized it is something more than that. Most crops are turned under the earth and lay fallow at least for the the winter. Grapevines, however, though they may become dormant, remain in place even out of season. The vine dresser doesn't simply start new with seeds each spring. I've not seen a combine or harvester, a plow or grader, churning through a vineyard. The vine dresser is tasked with the care of the same vines year after year with the end goal of good fruit: too much fruit can mean low quality, and too little fruit just simply isn't desirable though it may be very good. 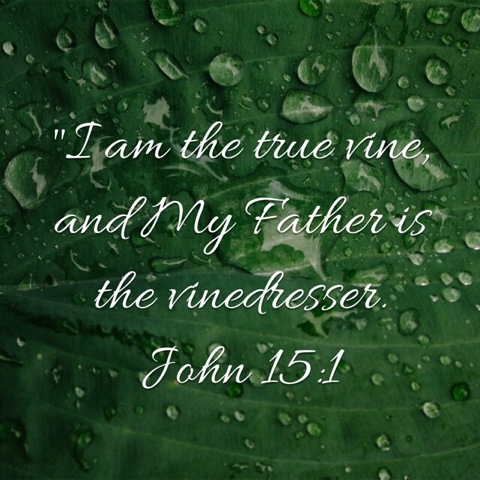 In John Jesus compares Himself to the vine, and God the Father to the vine dresser. Without Jesus we have no roots. 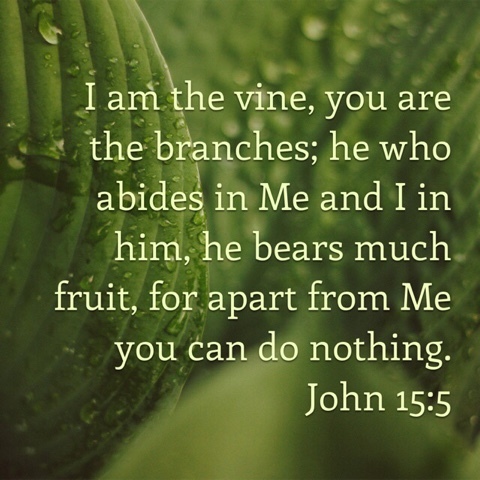 If God's goal for us is to bear fruit, we can't bear the kind of fruit He is looking for unless we are in the vine. Without Him we are little more than a scion: vulnerable, rootless, prone to drying out and withering up and utterly unable to produce fruit. Without Him I'd surely fail"
Jesus has to be the central focus of our lives; He is our source. Without Him we are weak, dry, tasteless, and quite frankly tired. You will wear yourself out trying to produce something good on your own. And if God wants us to bear fruit ... that should be our heart's desire as well! 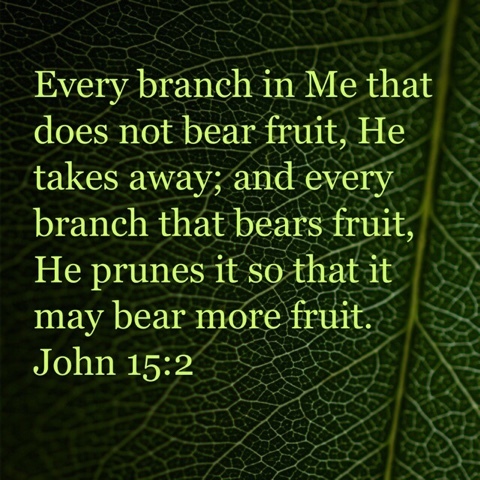 The Bible tells us He will take away the branches that don't bear fruit ... and next Monday we'll look more at what it means to be branches.